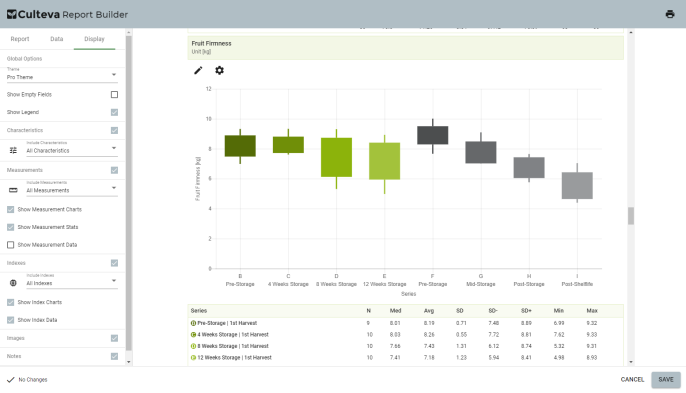 Your field and laboratory data all in one place. Culteva serves researchers in their pursuit to identify and compare the genotypic and phenotypic characteristics of plant material. Easy to use tools lighten the load when performing evaluation tasks - making data collection paperless and effortless. 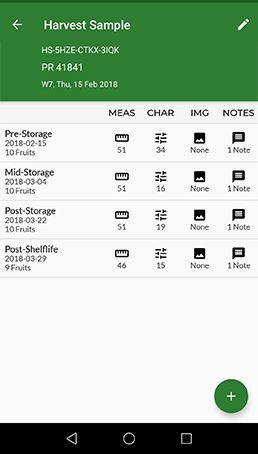 Powerful reports provide a visual insight to your cultivar intelligence. Standardized protocols ensure accurate and comparable data across evaluation sites and countries. Improve tracability of plant- and harvest-samples with unique identifiers, QR-Codes and geolocation. Cultivar/variety evaluation data management in the cloud. 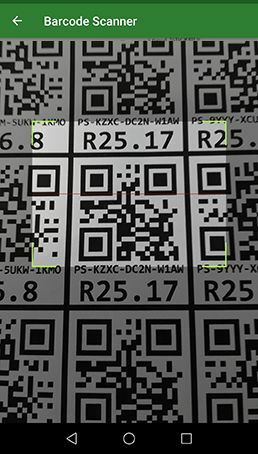 Identify your plant sample in the field with a QR-code. Characterise plant phenology, growth, architecture, flowering, fruit set and presence of pests, diseases and disorders. Measure plant dimensions, trunk circumference and total yield. Add photos and notes to your evaluation. Identify your harvest sample in the laboratory/storage with a QR-code. Characterise harvest ripening, internal and external appearance, storage diseases and disorders. Measure dimensions, weight, TSS, acidity and firmness. Standardise your evaluation procedures and practises with Provar's industry leading evaluation protocols to ensure accurate and comparable data across evaluation sites and countries. Protocols define which characteristics and measurements are relevant to the specific sample type, crop type and purpose of evaluation. Every procedure, recordable-characteristic and -measurement is documented in the Provar Evaluation Manual. Select a protocol to see more details. Harvest evaluation is performed to characterise new cultivars and selections on the base of their fruit traits. Visual and sensory fruit evaluation are applied to describe fruit quality and keeping ability after storage over a specified storage period. Characteristics such as colour and pattern, shapes and symmetry, defects and disorders and eating quality are evaluated in detail. Tree Evaluation is performed to characterise the adaptability of cultivars and selections on the base of a full set of tree characteristics and includes all phenological stages. Characteristics such as growth and architecture, flowering and fruit set, pests and diseases and general adaptability are evaluated in detail. 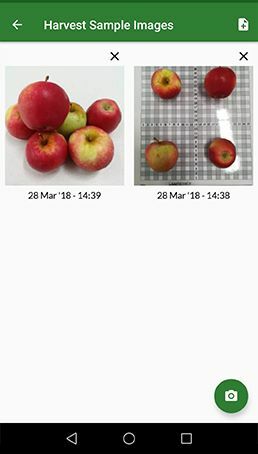 Observational Fruit evaluation is performed to characterise new cultivars and selections on the base of a sample set of their fruit traits and includes characteristics such as colour and pattern, shapes and symmetry, defects and disorders and eating quality that are scored for brief reference. Observational Tree evaluation is performed to characterise cultivars and selections on the base of a sample set of tree characteristics and includes certain phenological stages. Characteristics such as growth and architecture, flowering and fruit set, pests and diseases and general adaptability are scored for brief reference. Vine Evaluation is performed to characterise the adaptability of cultivars and selections on the base of a full set of tree characteristics and includes all phenological stages and manipulation events. Characteristics such as growth, flowering and fruit set, diseases and pests and general adaptability are evaluated in detail. Harvest evaluation is performed to characterise new cultivars and selections on the base of their fruit traits. 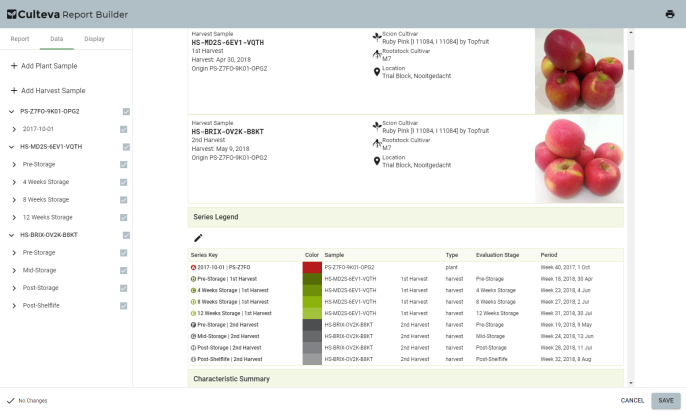 Visual and sensory fruit evaluation are applied to describe bunch and berry quality and keeping ability after storage over a specified storage period. Characteristics such as appearance, defects and disorders and eating quality are evaluated in detail. Evaluation of the dried grape product is performed to characterise raisins from new cultivars and selections on the base of their appearance, defects and eating quality in detail. Standarised protocols provide for the evaluation of a growing range of crops. 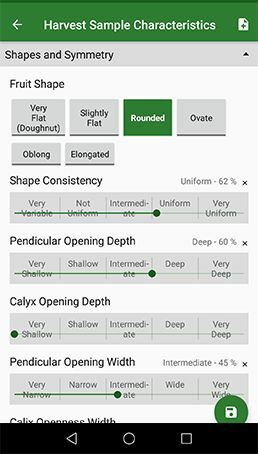 Not seeing the crops you would like to evaluate? Contact us to develop standardised protocols, in partnership with Provar, for your crops. Data collection on the go. The Culteva™ Mobile App is focussed on data collection in the field and laboratory. The mobile app is compatible with Android (version 4.4+) devices.